Nippon Gohsei UK, the only European producer of food packaging product Soarnol, has strengthened the engineering team at its Hull factory with the appointment of Jon Ross. 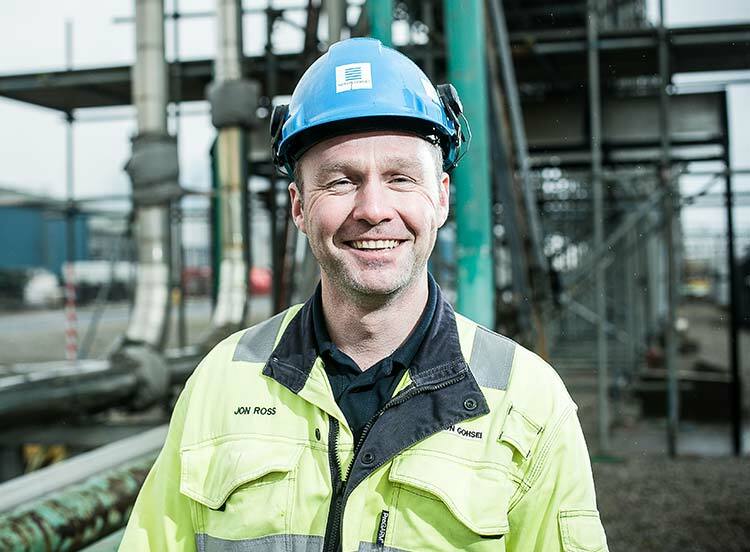 Starting his second spell with the company, Mr Ross has taken on the role of deputy engineering manager at the Saltend Chemicals Park site at a crucial time. Simon Proctor, engineering manager, said that Mr Ross had rejoined Nippon Gohsei as it has started to move away from the costly annual shutdown that is a feature of the chemicals industry. “One of our big challenges is moving to a two-yearly shutdown. Achieving this at a plant which operates 24-7 with its daily challenges is no easy task and requires original thinking, supported by top-level engineering skills,” said Mr Proctor. The 2015 shutdown during September and October coincided at a time with a bulging order book from increased sales to European markets for food and other applications. As this is normal practice, the company’s other manufacturing sites in Japan and in Texas worked together to ensure all Soarnol orders were fulfilled. As an incorporated engineer of IMechE, the Institution of Mechanical Engineers, Mr Ross spent 13 years with global health firm Novartis to 2008 and then a year with Nippon Gohsei before emigrating to Australia. On his return after 18 months, he worked on a contractual basis for the company. Mr Ross supervises plant maintenance, including preventative and corrective maintenance, and now heads up a team of three mechanical engineers, plus instrument, electrical and a maintenance engineer. “We’re really pleased to have Jon permanently on board; he is an excellent communicator, a great team player and has a very strong mechanical engineering background,” added Simon. Jon said: “It’s great to be on board at Nippon Gohsei permanently and I’m looking forward to helping the business with the challenges of meeting increased production in an already very busy plant. Away from work Mr Ross, who is married with two children, is a scuba diver, having gained his Professional Association of Diving Instructors’ advance, and a keen rally driver racing nationally at Clubman level. Soarnol has a wide range of applications that include food packaging films, bottles, and tubes to preserve the flavour and freshness of food products, and construction materials, plastic fuel tanks, and other non-food products. It is mainly composed of carbon, oxygen and hydrogen, has no toxic gases when burned, and its combustion heat is only half that of polyethylene, causing little harm to the environment.